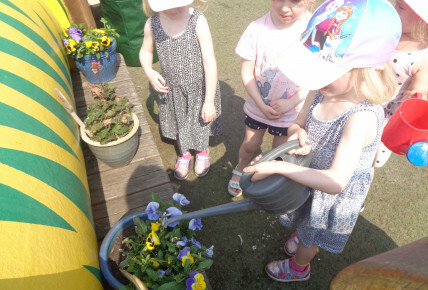 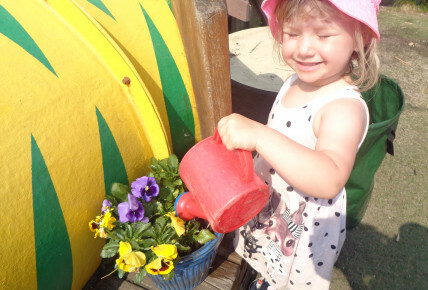 The children at Busy Bees in Portishead have been planting, caring for and watching the plants grow. 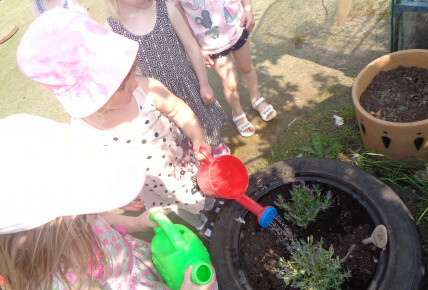 They have planted vegetables, fruit and herbs which have flourished in their environment.The children used the scented herbs to add to their playdough, for a sensory experience within their play. 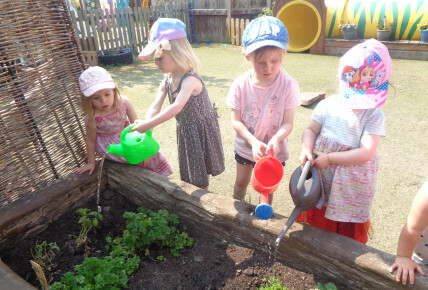 Once the produce is ready the children will be using their culinary skills to make meals out of the Busy Bees outdoor kitchen, so please watch this space.